You are here: Home » Forums » Intermittent fasting » Will any fasting do? This is a really great post and I’d love to know the answer. I also found the 5:2 diet didn’t agree with me, even when I increased the calories on a fasting day. I could manage to eat later in the morning and finish earlier in the evening, if that would count as fasting. 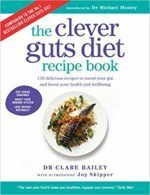 Probably your first act should be to keep a food diary, as recommended in cgd – this absolutely MUST be accurate, so weigh and measure everything (and I do mean, everything! Right down to that sneaky Polo mint you thought wouldn’t make a difference…). A good set of kitchen scales, which will measure to the gram, is a great investment, and if your mental arithmetic isn’t too hot, a calculator will help. Fortunately, most things, in the UK at least, come with calorific values on the packet. Don’t bother about what you’re eating, just eat normally and keep the diary for three days. You may well be surprised at what you can remove from your diet without noticing the loss. This, though granted it’s tedious, will also show you where your normal diet is deficient , whether your portion sizes are right, etc. Then you can start adding in the cg good guys, taking out the things that are, if not actually harmful, not doing you any good. And work in fast days – the 500/600 calorie rule is a bit much for me, I find it hard to stick to, but even aiming for 900 a couple of times a week will help. Remember: a pound of fat = 3500 kcal; eliminate that from your weekly intake, and you’re on a winner. Unless, of course, your ‘normal’ diet turns out to be way above 500 kcal/day too many! Rereading your post, JoiningtheDots, you seem to be using two completely different styles of fasting. This is purely my personal opinion, but the closing of your eating window doesn’t seem like a fast to me; I know the theory is, that you’ll eat less, because you’ve less time to do it in, but I suspect it would be very easy just to pack it all into the shorter hours! It’s not really when you eat that matters, as how much, and that will depend on your age, gender, basal metabolic rate, and lifestyle – a deckhand on a sailing vessel needs between 3500 and 4000 a day; a doddering ancient like myself can survive very happily on 1800 or less. Joiningthedots, there is a section on intermittent fasting to be reached from the front page of this website. Dr Mosely says, and I quote “So, there are various ways to fast. But essentially it comes down to what you find easiest and most effective to do”. What he is referring to here is fasting to improve gut microbes by encouraging a certain type that thrive when you fast, not weight loss or other types of fasting. However, Dr Mosely also says that blood sugar recovers better when you eat in the morning rather than the evening. Of course there are more details in the book.